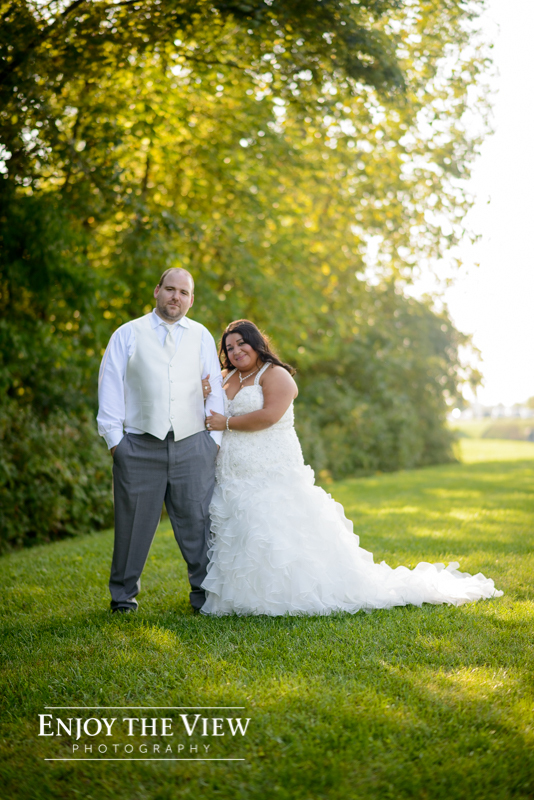 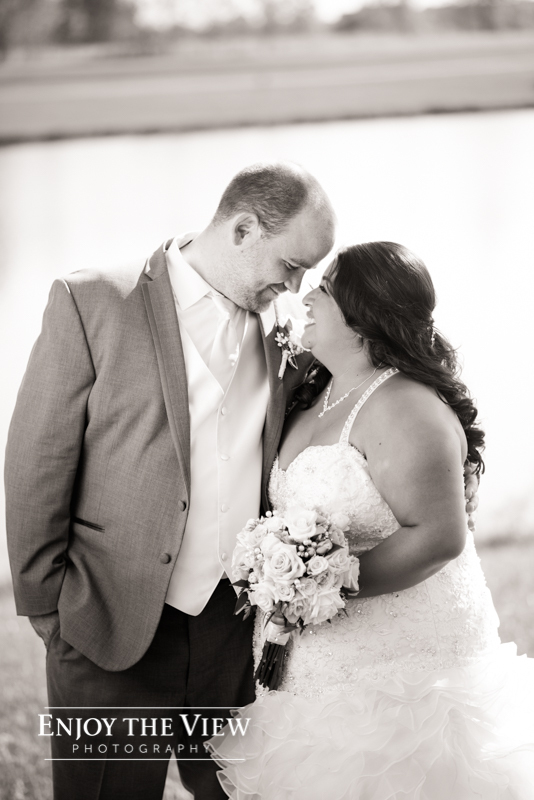 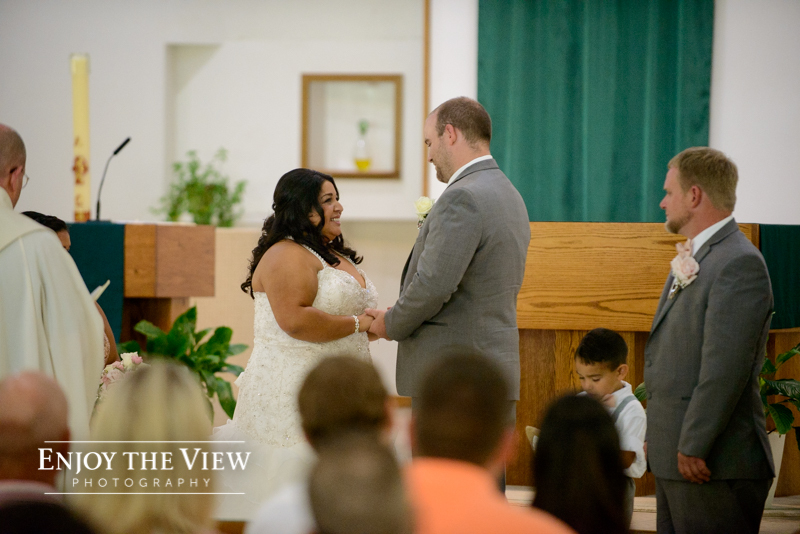 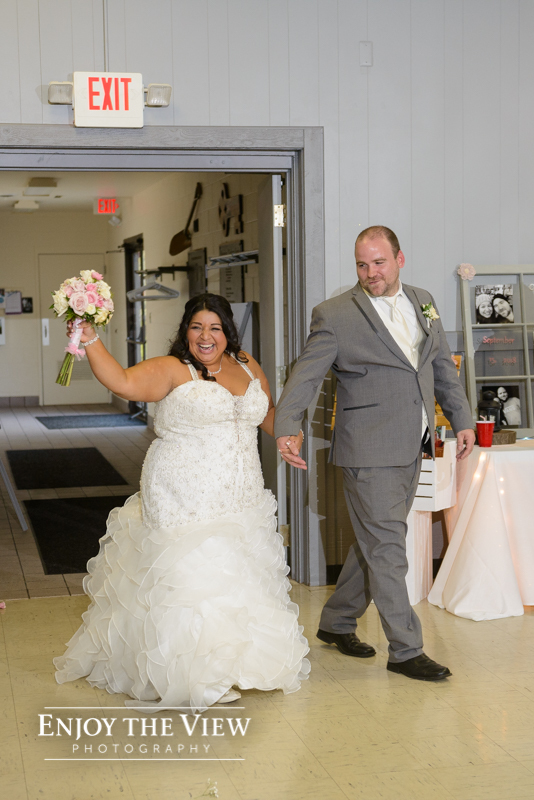 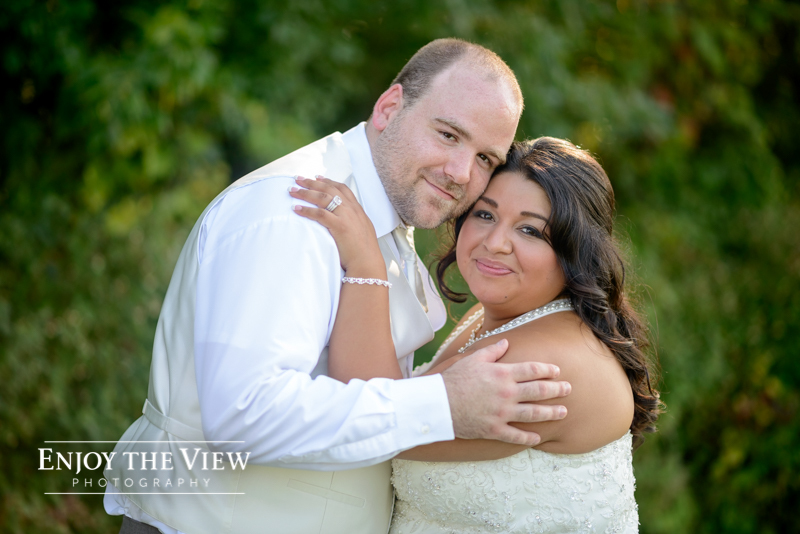 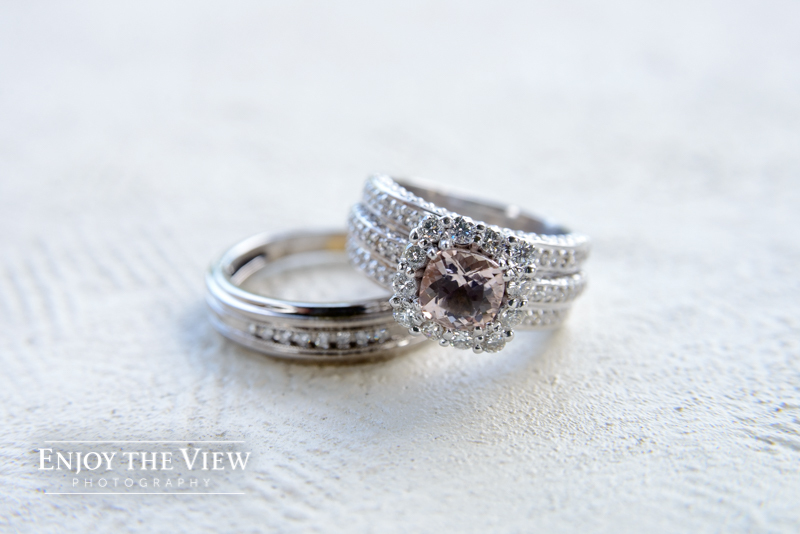 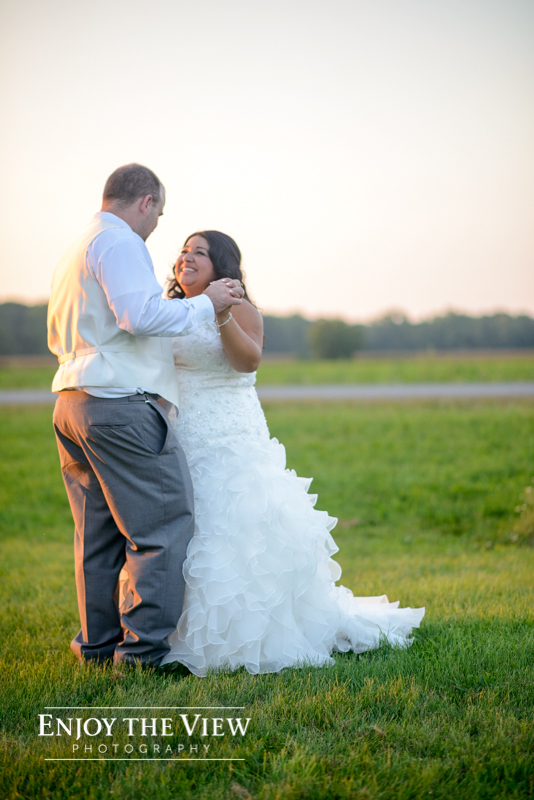 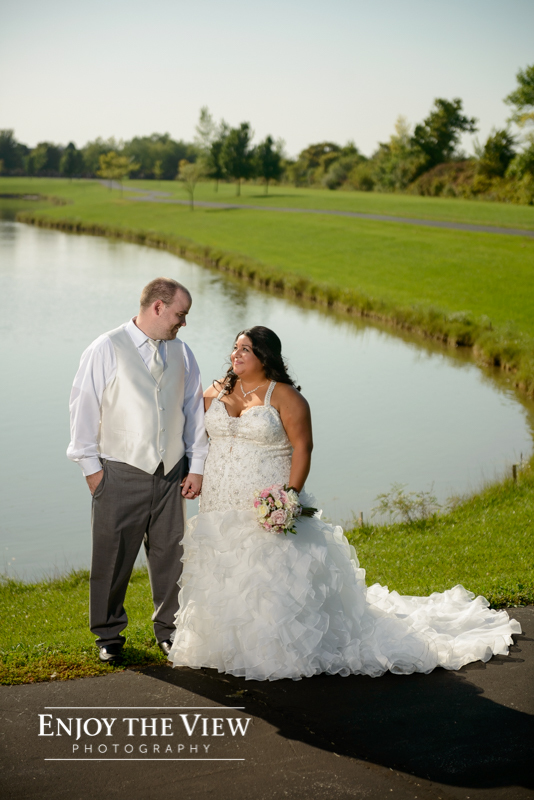 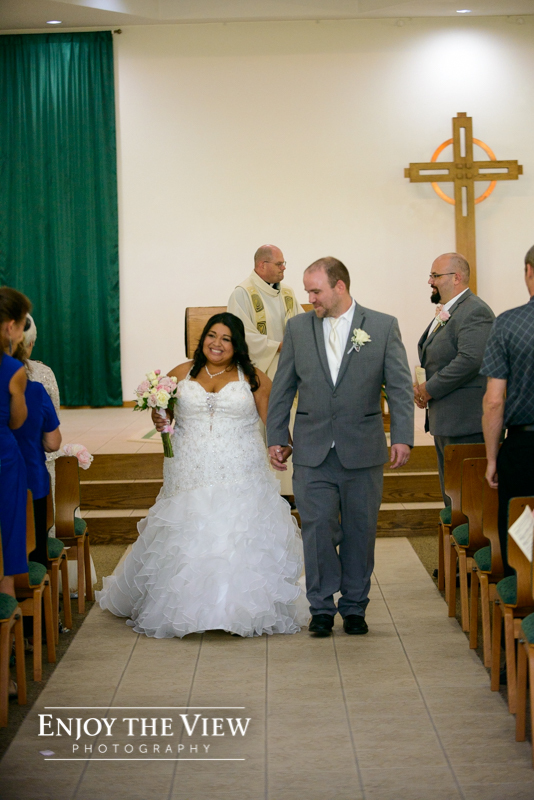 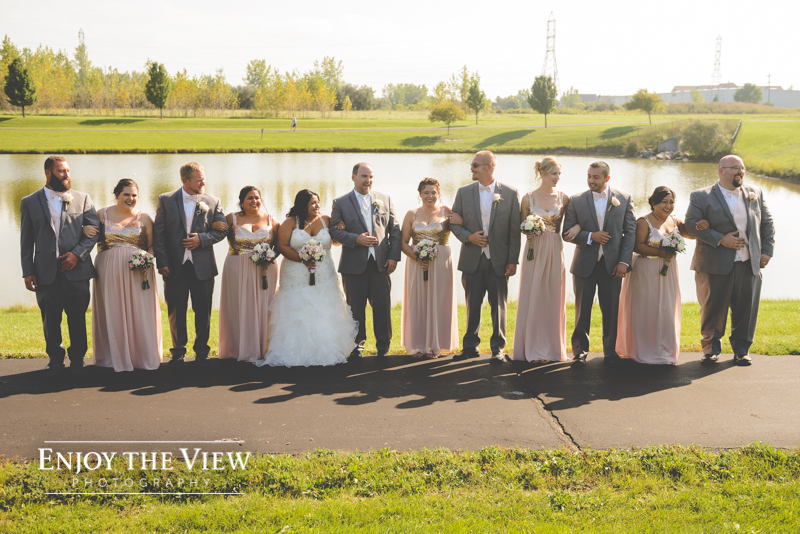 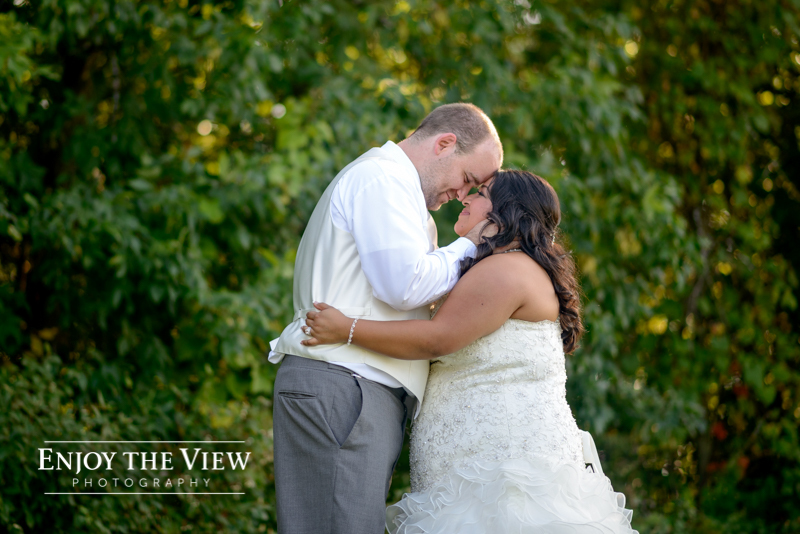 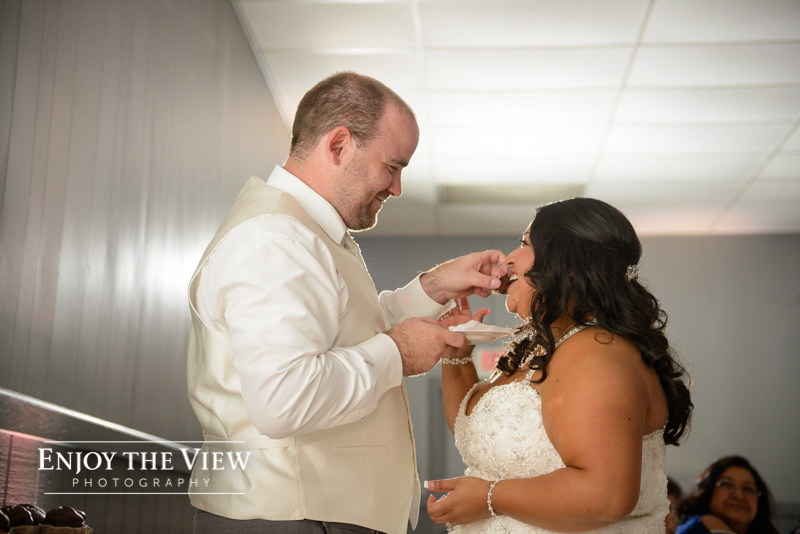 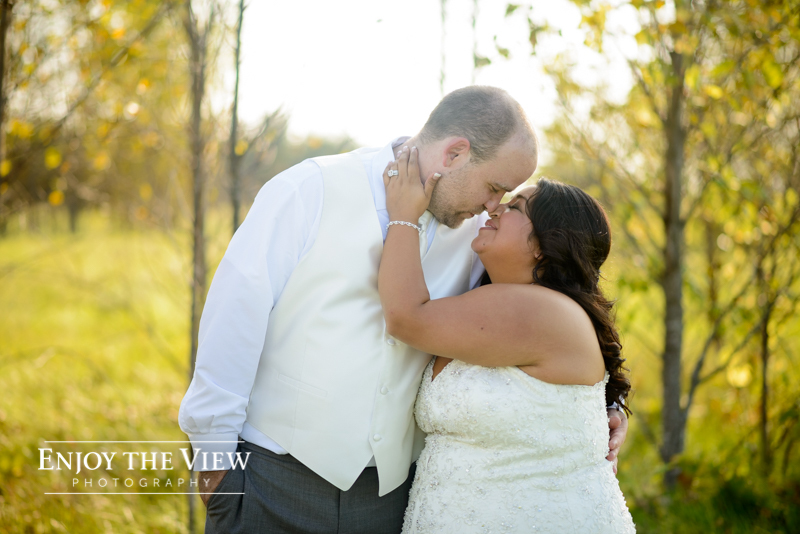 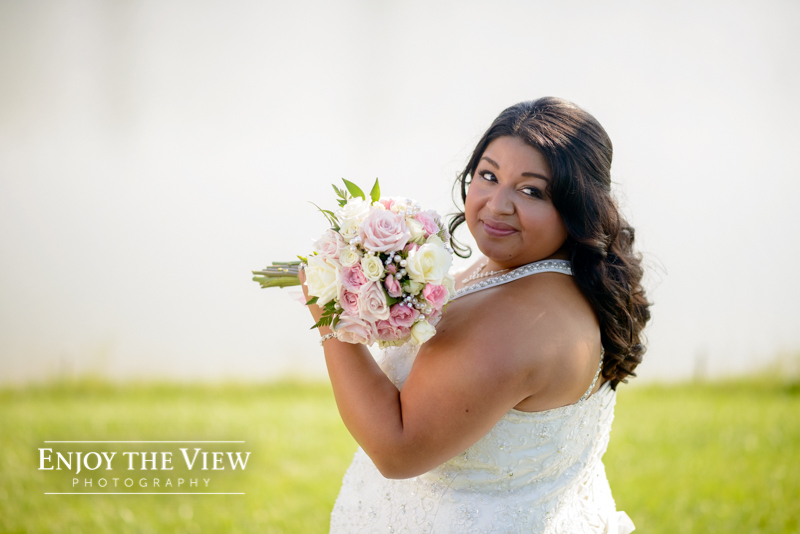 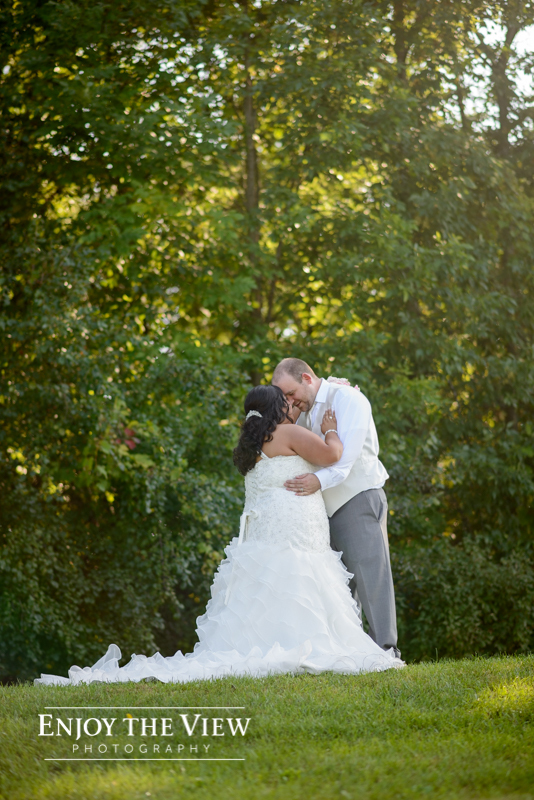 Despite getting married in the middle of September, Ceci and Josh had a very hot wedding day (about 85 degrees)! 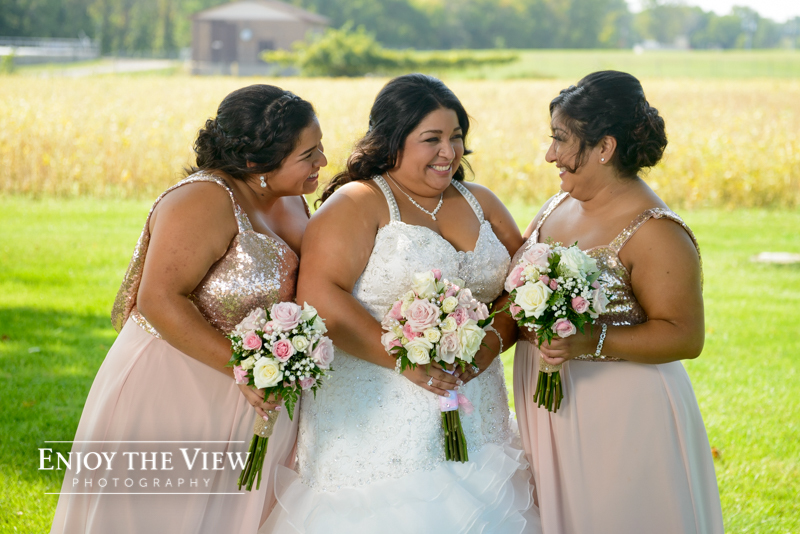 I really enjoyed working with these two and everyone involved in their day; nobody let the heat stop them from celebrating with the new Mr. and Mrs.! 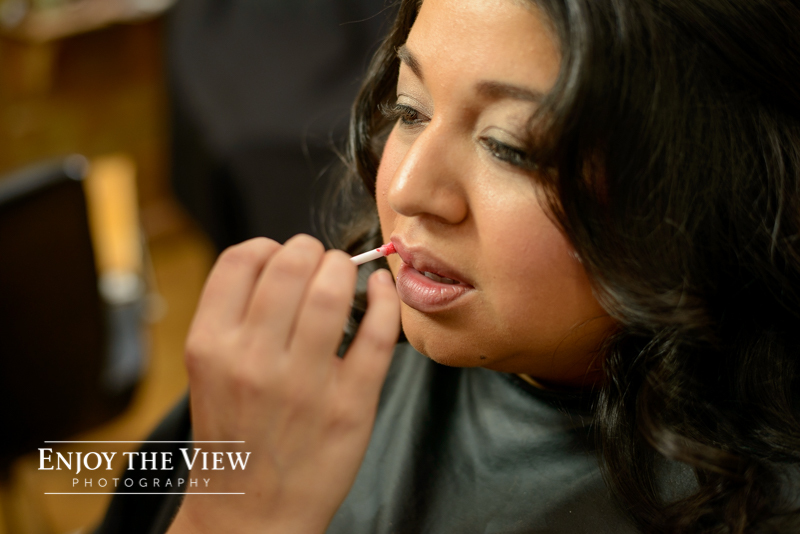 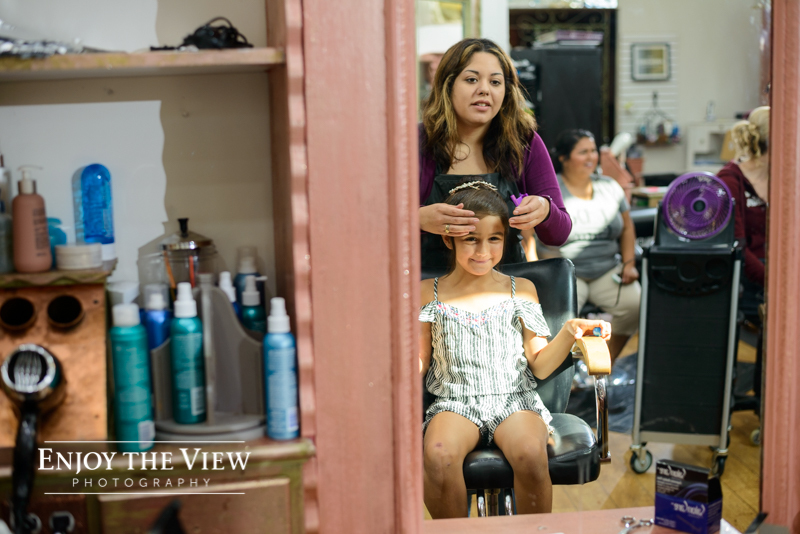 I started out the day by meeting Ceci and her girls at Serenity Salon and Spa in Saginaw, which is in a beautiful big building with plenty of room for a wedding party. 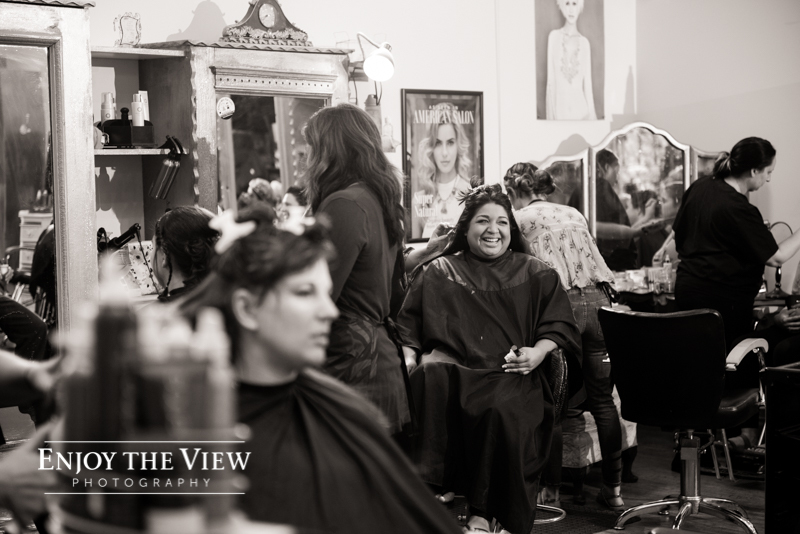 All the girls were in great spirits throughout the morning. 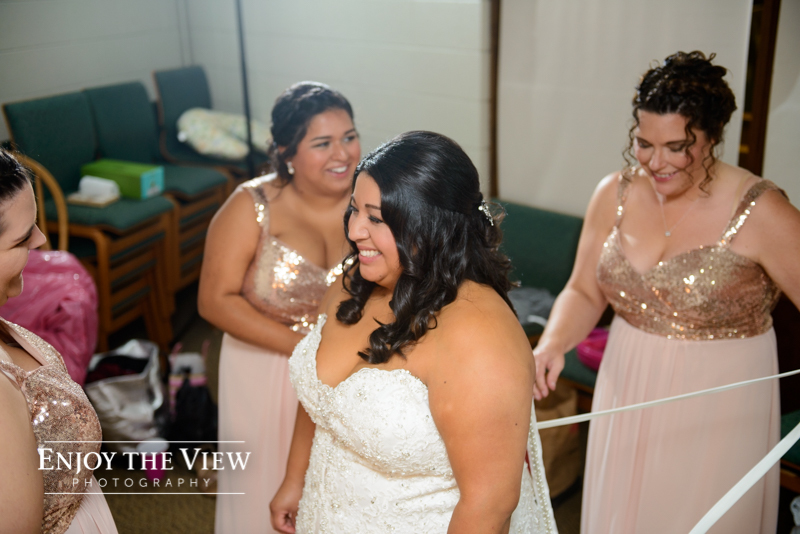 There was so much laughter and joy when Ceci put on her dress later at the church! 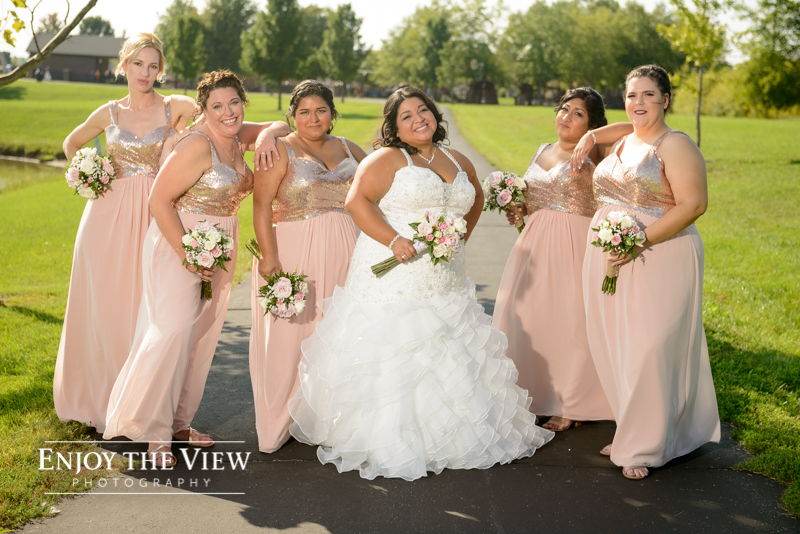 I loved hanging out with them. 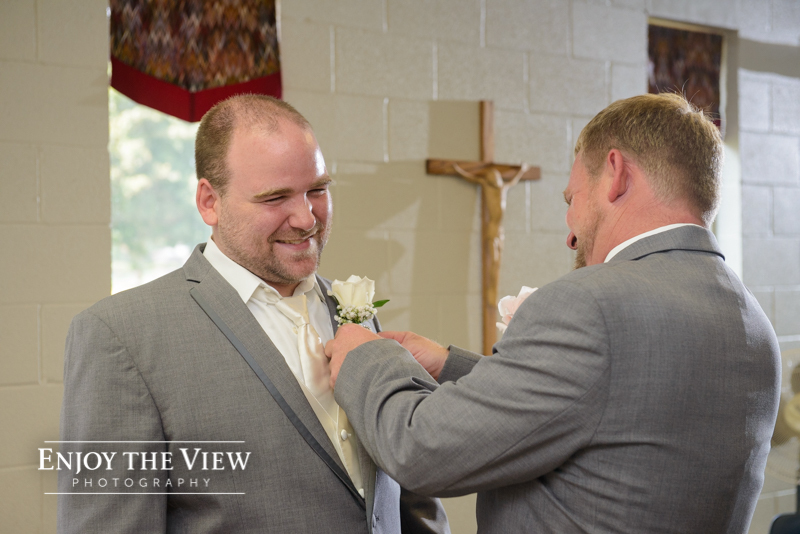 After I photographed the guys for a while at the church, the ceremony began and family photos took place afterward. 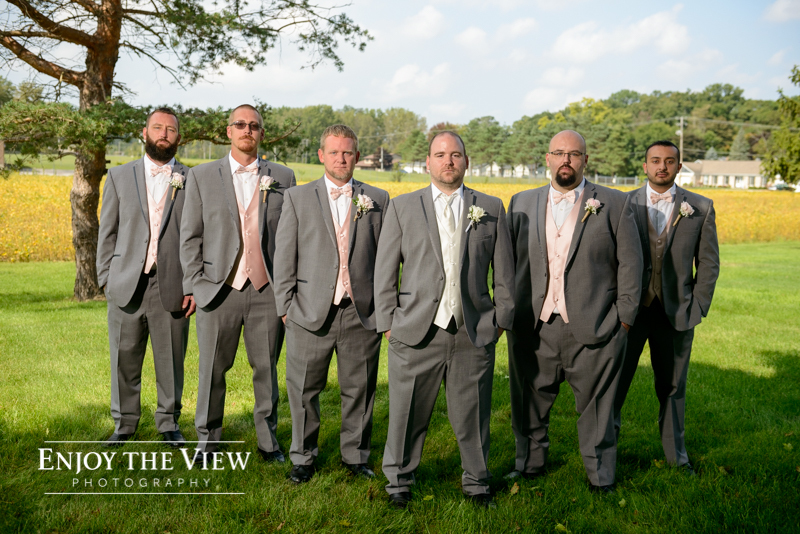 Then we headed to Krossroads Park to spend time in the heat for a while and get photos of the bride, groom and their wedding party. 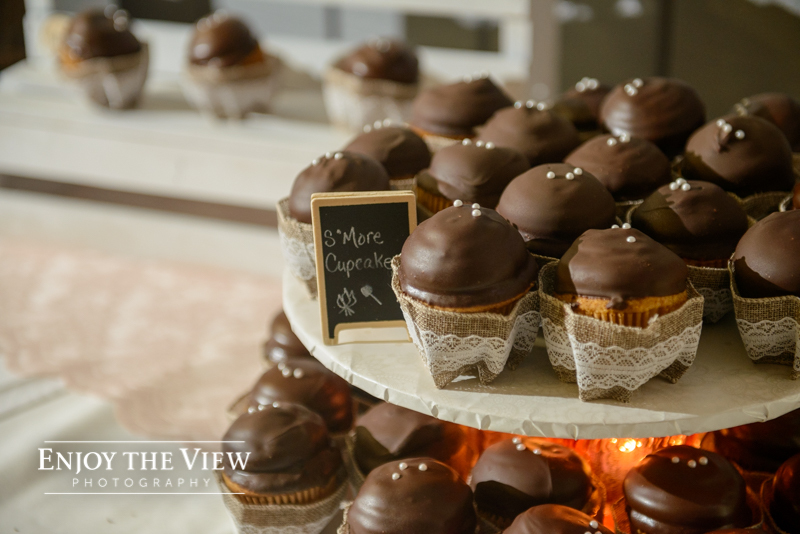 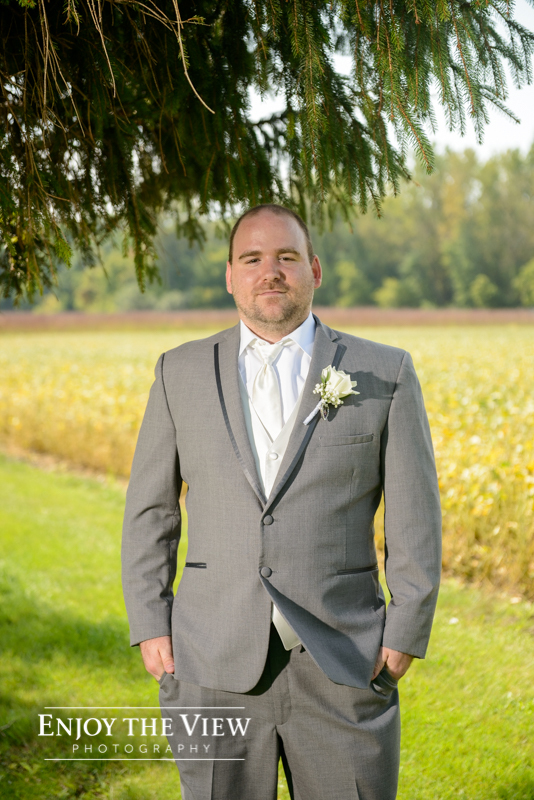 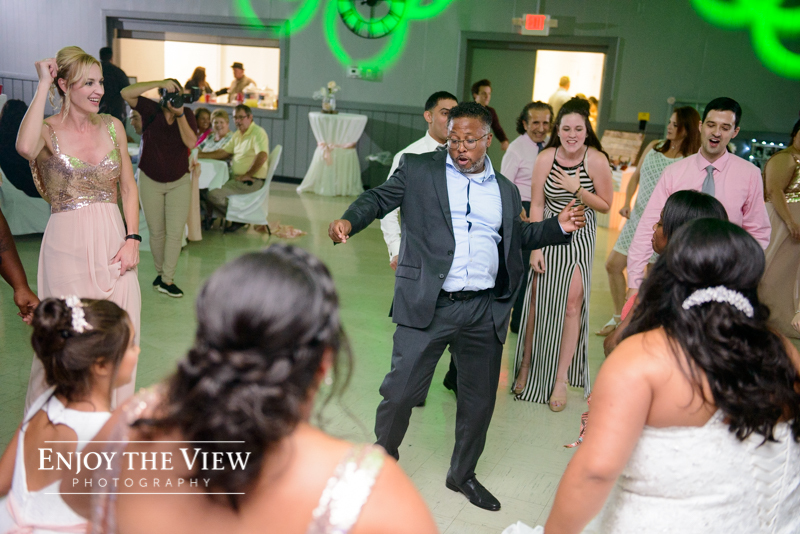 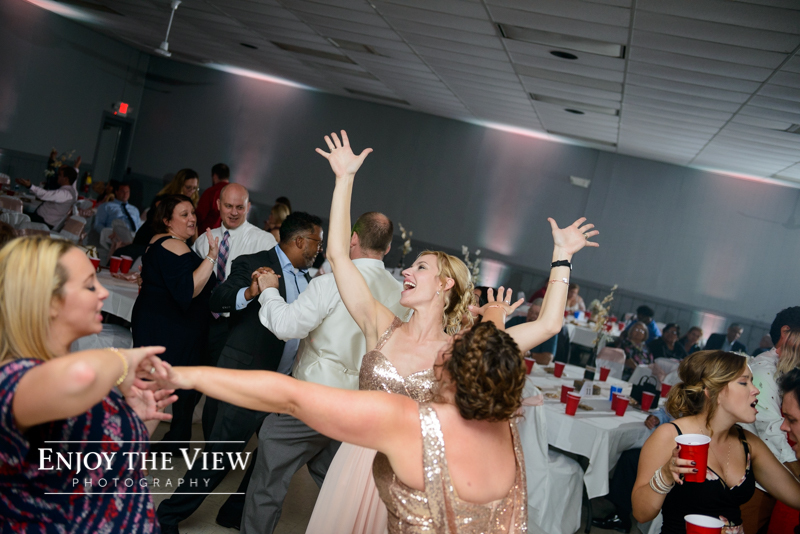 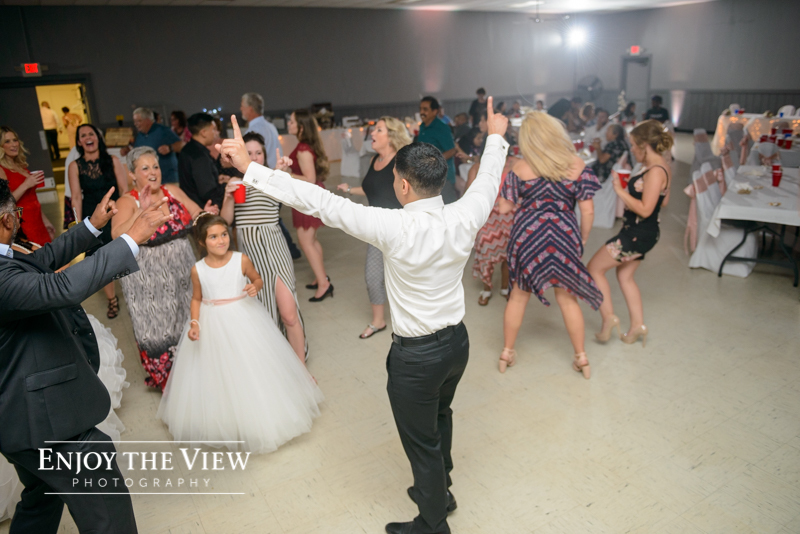 The reception took place at Kochville Veterans Hall, where Corey from Rusch Entertainment kept the dance floor packed all night! 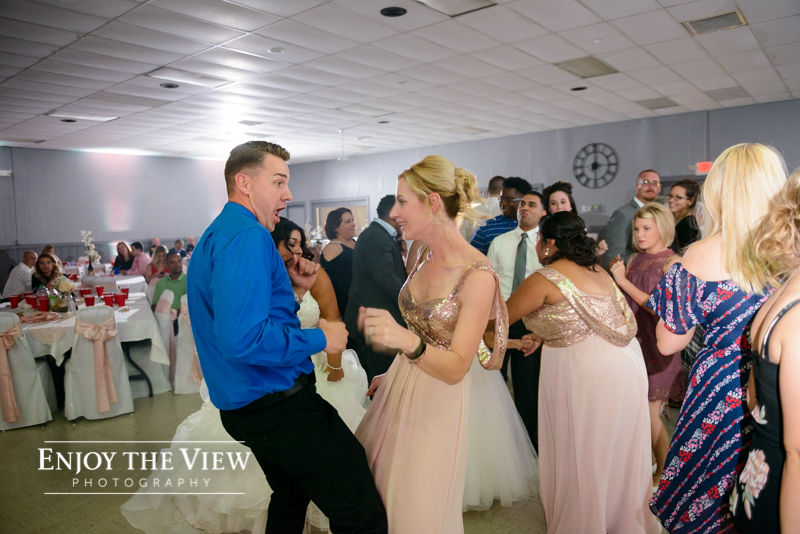 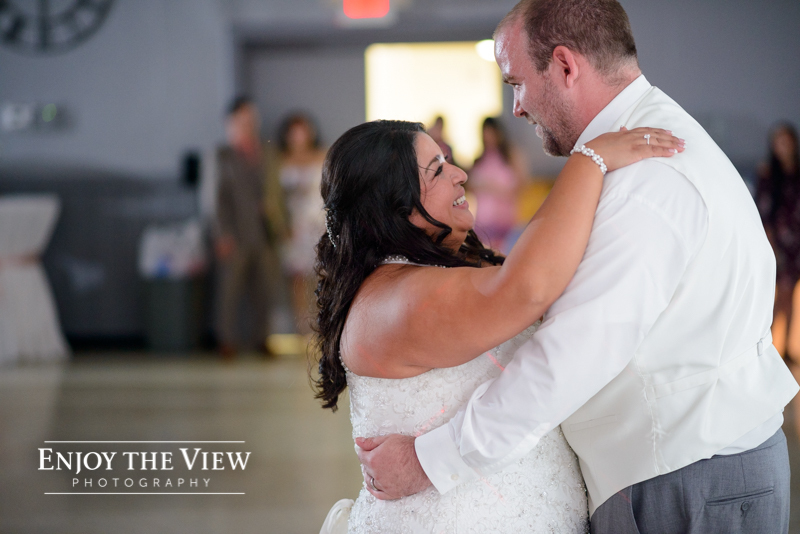 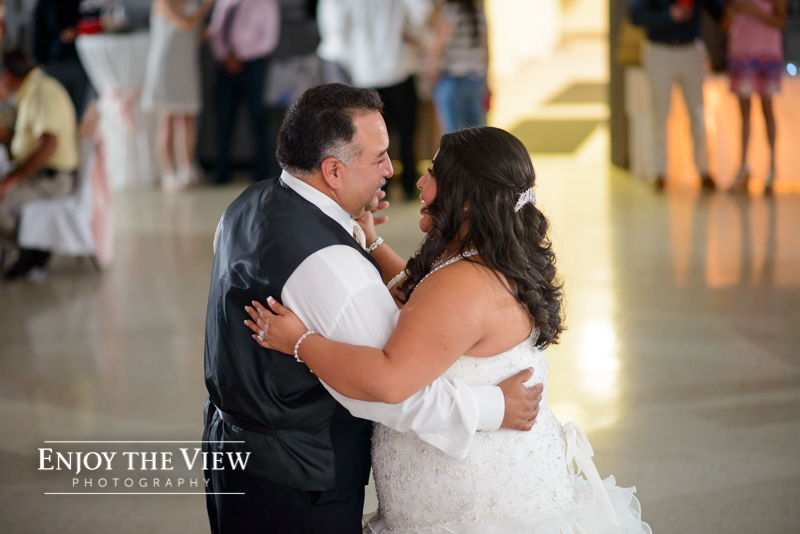 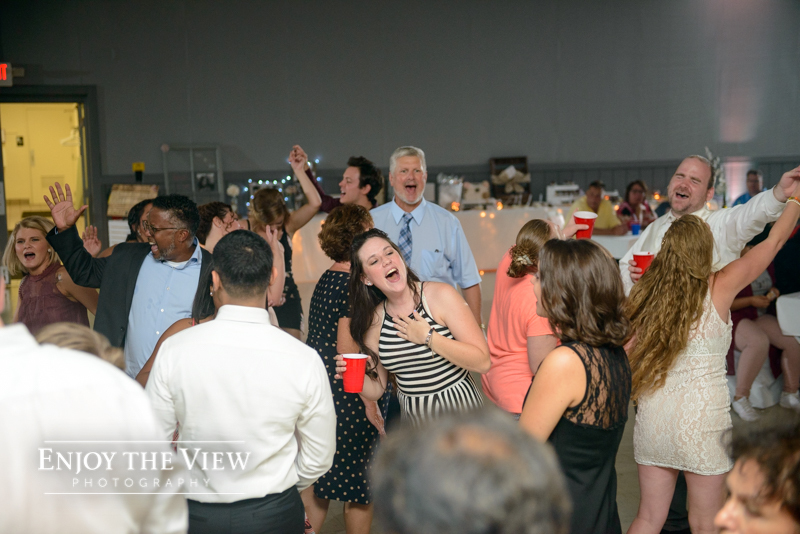 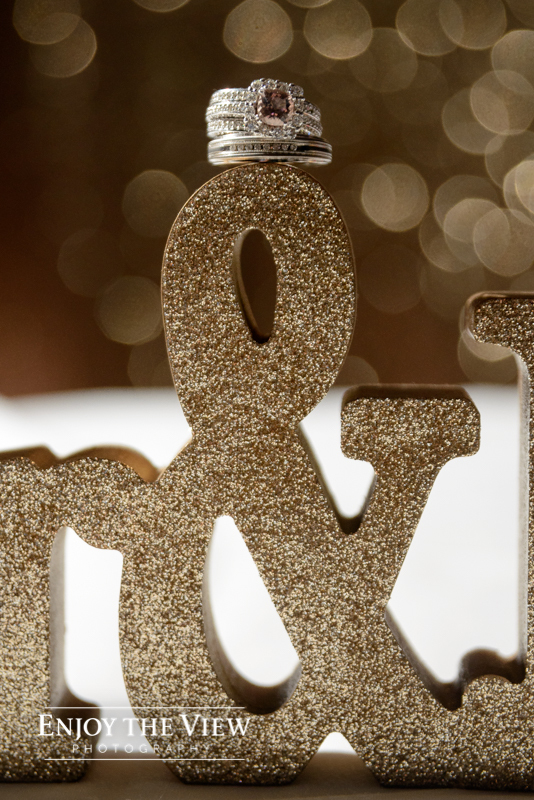 There are so many fun dancing photos from this wedding!